Why not consider a PASS PLUS Course? You now have the freedom to drive to visit friends, have days out and to commute to work. PASS PLUS sessions are different to a driving lesson. You will develop your confidence and ability to deal with unfamiliar roads, as well as other traffic conditions you may not have experienced during your initial driving tuition. All conducted safely under professional guidance. The course consists of a minimum of 6 hours tuition however additional Top Up lessons may be required to achieve the required standard. These Top Up lessons would be in addition to the cost of the course. All Medusa School of Motoring Ltd Instructors are registered to provide PASS PLUS tuition and you will be very pleased to know that there is no test at the end of the course. 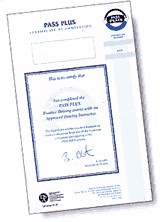 Providing that you meet the minimum standard you will be provided with a PASS PLUS certificate direct from the DSA. 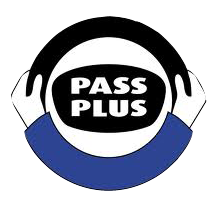 Medusa School of Motoring Ltd currently offer the Pass Plus Course for £165 with any addition Top Up lessons being charged at the standard hourly rate per hour. This offer is available to all qualified drivers regardless as to whether they learned to drive with Medusa School of Motoring or not.